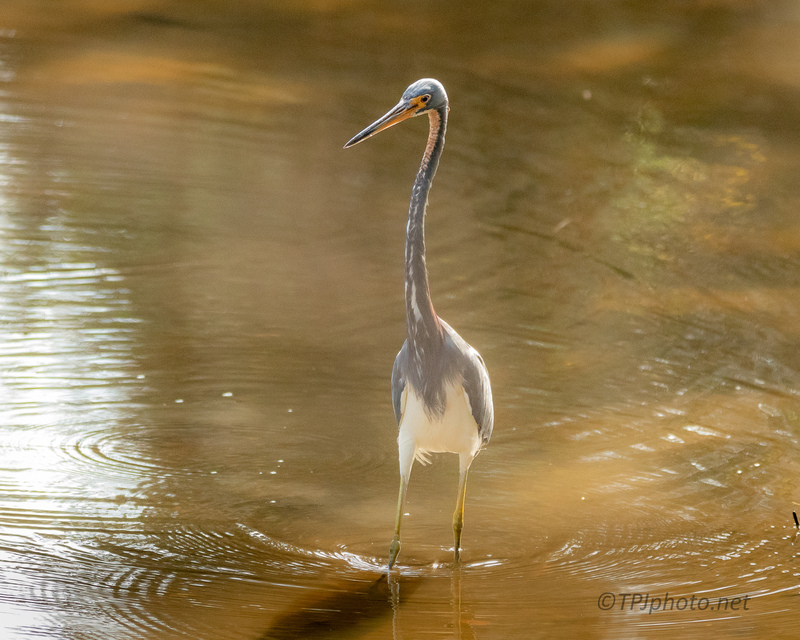 A Tricolored Heron photographed during low tide in a canal. These are natural canals that run though marshes and along side dikes. The water can get deep here and even though it’s it’s brackish Alligators are all around here. Dolphins have come up these canals and Boar move through the reeds, neither are that common right here though. 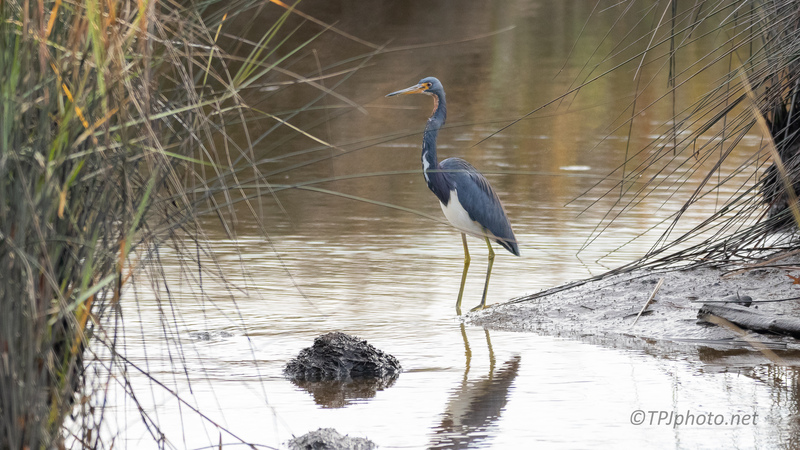 This is mostly the home of the large wading birds. 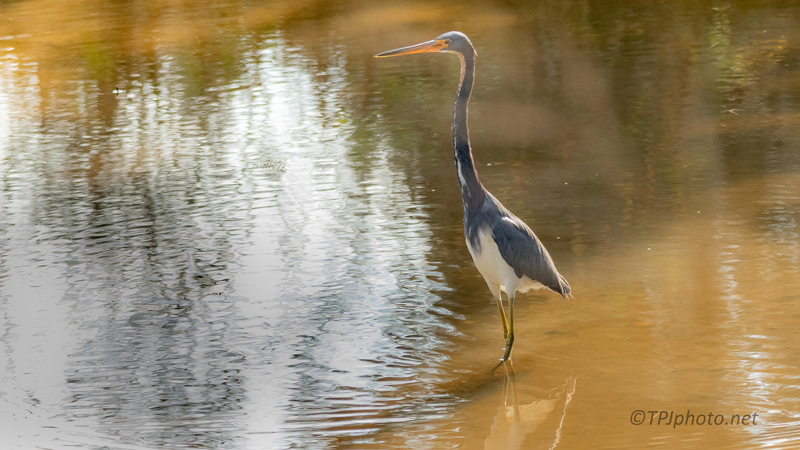 They are very colorful compared to the larger Herons. Also can be quite animated and loud. Thank you.